It is time for the annual Blackboard upgrade. Work is scheduled to begin on Sunday 19th June and end on Monday 20th June. Blackboard will be unavailable during this time. Users will need to complete business and signed out of Blackboard by midnight Sat 18th June. This will enable preliminary work to begin. We will provide an update when the service is available again. 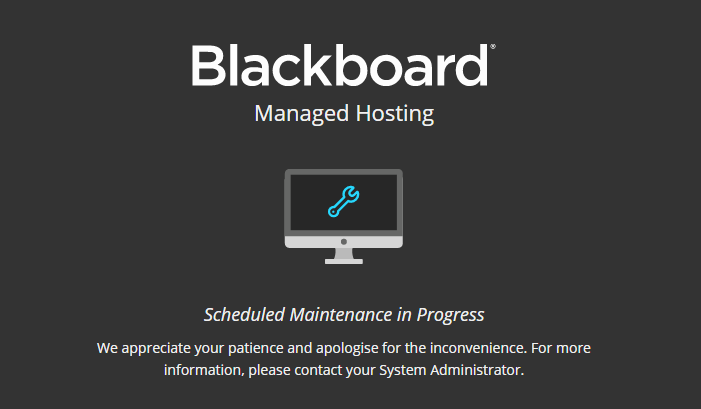 Please can you alert other members of staff and students that may try to use Blackboard during this period.